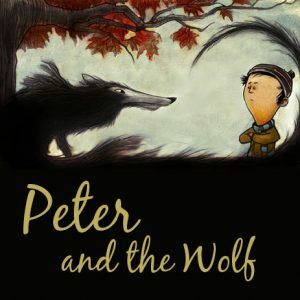 Give the whole family a Christmas treat at this special concert which features Prokofiev’s well-loved musical tale, Peter and the Wolf. A myriad of colourful characters – the bird, duck, cat, Peter himself, his grandfather, hunters, and of course, the wolf – are all represented by different instruments giving a wonderfully descriptive introduction to the instruments of the orchestra. With plenty of audience participation in festive favourites, this is a seasonal delight for all the family suitable for children of all ages, and parents and grandparents too!